Just over two years since I last saw the Linkin Park boys. 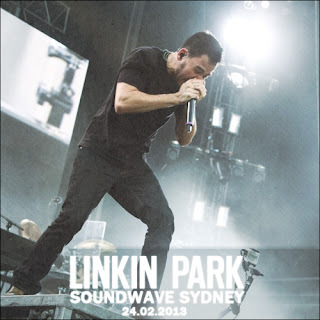 However this time I saw them down in Sydney as I missed out on Brisbane Soundwave tickets. To say Sydney Soundwave was packed is an understatement. I don't think I've ever been to a show or festival yet with an attendance like there was that day. I'm not sure on the final attendance number, but it was over 75,000. Of those 75,000+ I can guarantee a fair majority of them were at Linkin Park. Overall, a mixed set of old and new; which worked well for the festival crowd. Highlights for me were probably A Place For My Head and Castle Of Glass. It's worth noting that Points of Authority was aborted halfway through when Chester noticed a fan had been injured and was in trouble. Chester wanted to restart Points of Authority but the band ended up deciding to move on to the next song. For more set details, head over to LPLive.net.